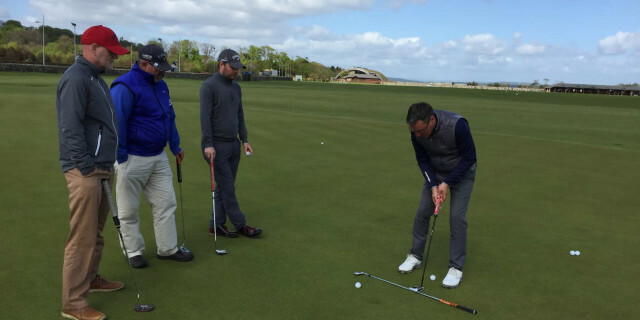 Earlier this year, three Golfshake Members came with us to Scotland and embarked on A Golfing Odyssey to the Home of Golf, St Andrews, where they had the appetising opportunity to sample an Odyssey Golf Experience Day at the St Andrews Links Golf Academy. During their time at this striking facility in the shadow of the legendary Old Course, they underwent a Custom Putter Fitting overseen by the Odyssey Team and Director of Instruction Steve North, who also provided a Putting Masterclass, lessons of which can be seen as part of the #PuttUnderPar Tuition Series. Keen golfers who had combined to track thousands of rounds on Golfshake, Peter, Colin and Pete learned about the nuances of putter technology, and gained a greater understanding of the specifics and technicalities within their own strokes. This insight was groundbreaking for the guys, who have since taken the knowledge they gained that day into their own games, not to mention adopting the putters that they were fitted for. 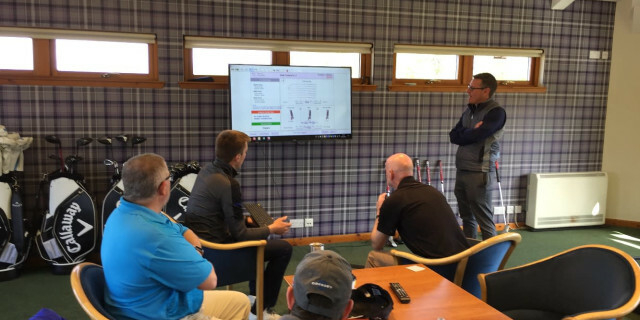 Six months on, we caught up with them to see what difference the Odyssey Experience in St Andrews has made to their putting results and stats. For Pete Wells, whose woes on the greens saw him build up a putter collection numbering in the dozens over several years, the fitting with Odyssey helped him to finally discover the right model. "The #7 Tank has been a delight," he said. "It feels beautifully balanced with just enough weight to help keep the stroke smooth but not too much to compromise touch on the more tricky putts. Being fitted for a slightly flatter lie angle has helped my hands grip the club more naturally and also position my eyes over the ball better. "The icing on the cake is the face of this club. The micro-hinge insert is just sublime. It feels and sounds soft, yet it gets the ball rolling end over end and runs out effortlessly. I think it's the best feel from a putter I have ever had - high praise from someone who has used over 35 putters in the last four or five years! A while back, to stop me endlessly changing putters, my brother made me agree that I wouldn't ditch a putter until I'd had a round with over 36 putts. The Odyssey always beats that easily!" 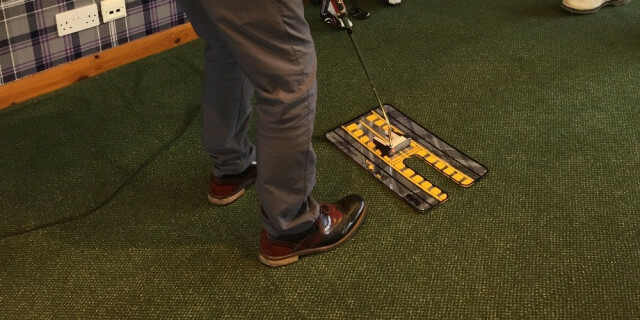 Fellow Golfshaker, Peter Hewitt had previously experienced a putter fitting with Odyssey so knew what to expect, but found validation in the process after his results identified the same model that he had already been using, delivering an even greater level of assuredness that the putter in his hand was the one for him. "What I took away from the custom fitting is the confidence to know that the putter I am using is right for me and that has given me huge confidence when on the putting green," he reflected at the time. "Just like when you get fitted for irons, by getting a custom fit experience for your putting, you know the equipment you are using is right for you and with putting being all about feel, it gives you the confidence to hole more putts." Now after playing throughout the full season, Peter's stats on Golfshake - thanks in part due to Steve's expert coaching - have been exceptional and defy his handicap. "I’ve found that my second putts are more often tap-ins than testers and I’ve reduced my three putts by a quarter! "Based on my stats snapshot, my putting is the best part of my game over my last five rounds (I’m still a 13 handicap but my putting is that of a 10 handicaper) and the Golfshake Stats performance handicap levels has my putting at 2.5!" For Colin Crooke, who hadn't experienced a putter fitting, the results since his time in St Andrews have been striking. The face of the club is so good at giving me feedback on my shots. I was very surprised to find out that I have been using the wrong style for all these years," he said. "After looking at my stats I have gone down from 3.9% of 3 putts to 1.98% - nearly a 50% decrease. I am also now down to 9.5 and when I start my lessons for the rest of my game in January - I hope to get even lower." During their time in the Auld Grey Toon, the guys also had the chance to play the New Course, sample the iconic Himalayas Putting Course, and stay and play at the spectacular Fairmont St Andrews, making unforgettable memories, but perhaps the most meaningful legacy of their Golfing Odyssey in future will be the continued success and improvement on the greens.